If you visit Paris for the day, for the weekend or for the whole week you should definitely schedule a visit to one of the most renowned patisseries in Paris. France is, indeed, home to the most talented and prestigious chefs patissiers in the whole world and Paris, being the capital, hosts their boutiques where you can admire and taste their beautiful work. 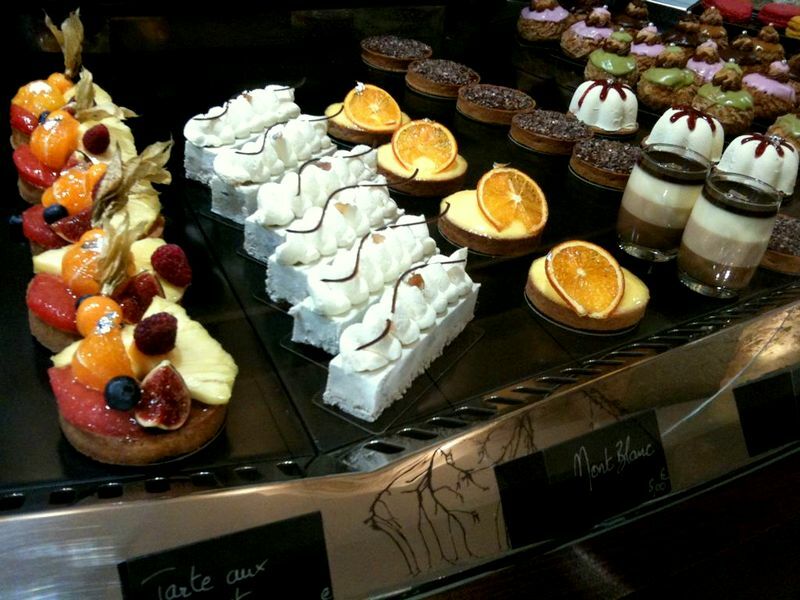 To me, French patisseries are pure art translated into a piece of delicious tangible heaven. Buying a gâteau, a macaron, a tarte, a molleux, a mousse or any of the treats at the patisserie counter is a luxury experience on its own; from the moment you enter the magical universe of the patisserie to the moment you taste it you are transported into a dreamland where all your senses work together to transmit you one message: pleasure. It would, in fact, be very unfair to name just a few patissseries in Paris. Taste is very subjective and I honestly think that Paris hides a talented chef patissier in every street corner… you just need to find yours when walking around. As you know, France is home to the most awarded chefs patissiers in the world and trains thousands and thousands of talented patissiers year after year in their numerous and prestigious schools. But I must also tell you that being a foodie and patisserie lover myself I have tried amazing, surprising and incredibly delicious patisseries in remote Provence’s villages, in tiny family-owned rural restaurants and, in fact, in some of the most unexpected little patisseries. France is certainly synonymous with gastronomic experiences and all thanks to the passion, hard-work and authenticity of the artisans that keep making their dreams possible through their devotion to patisserie. 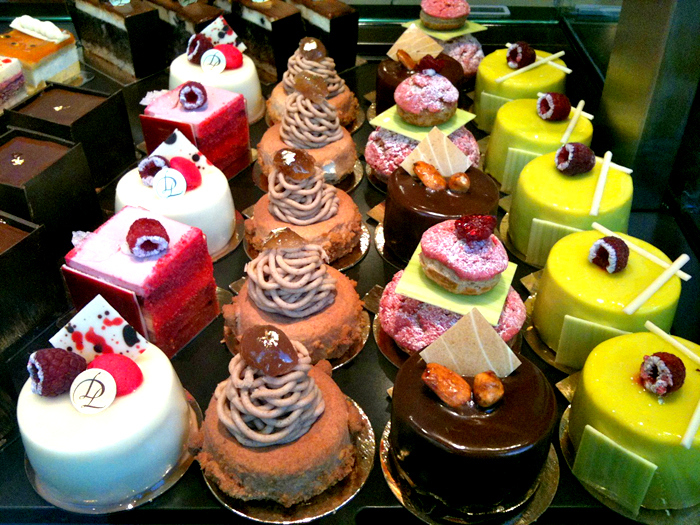 Below I will be telling you about the most renowned and awarded patisseries in Paris. These boutiques are considered to be the best patisseries in Paris thanks to their national -and international- fame or prestigious awards. I highly recommend that you pay a visit to (at least) one of these shops to immerse yourself into the creme de la creme of the French innovative patisserie and make the most of your Paris stay. Jacques Genin spent years working on his innovative creations on his private small laboratory before opening his boutique in Paris. Jacques Genin has provided his caramels and chocolates creations to restaurants and hotels before launching his first boutique in the fashionable Marais neighborhood. Jacques Genin is a self-tought genius so I absolutely recommend that you pay a visit to his space that also features a salon the thé on the downstairs area. Carl Marletti has been trained by the biggest Chefs patissiers in France and has built on a prestigious reputation while working at the Grand Hotel Intercontinental. He opened his first patisserie back in 2007 and since then, the chef patissier has captivated the public with his beautiful creations. Carl Marletti privilegies the grand French classiques and takes them to the next level. In 2010 his tarte au citron was voted the best in Paris. I absolutely adore the floral touch he gives to his collections. 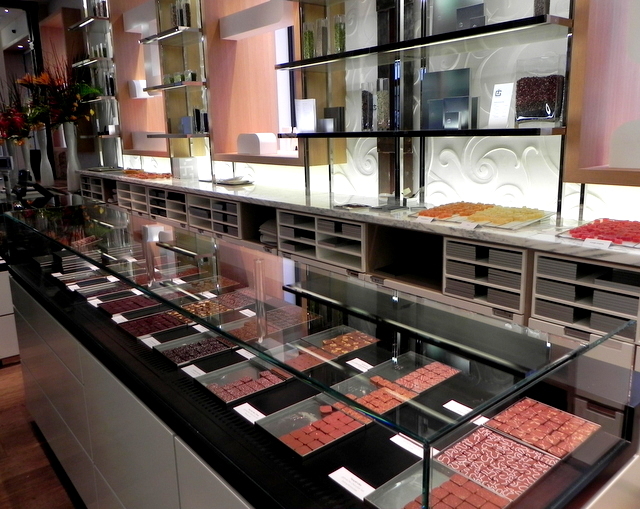 Even though Carl Maretti is one of the most renowned patissiers in Paris, the prices are still affordable. Laurent Duchêne hosts the prestigious title of “best ouvrier de France”. The chef is faithful to the classic French desserts and adds his personal and innovative touch. As usual, a talented chef working on the best of traditional desserts is always a recipe for success. So if you want to taste French desserts by the hands of one of the best pastry chefs in France you can’t miss a visit to one of his two boutiques that still, to me, totally affordable and so typically French! Jean-Paul Hévin has won the highest French distinction of “meilleur ouvrier de France” that has automatically placed the patissier within the French elite of the patisserie-chocolaterie. 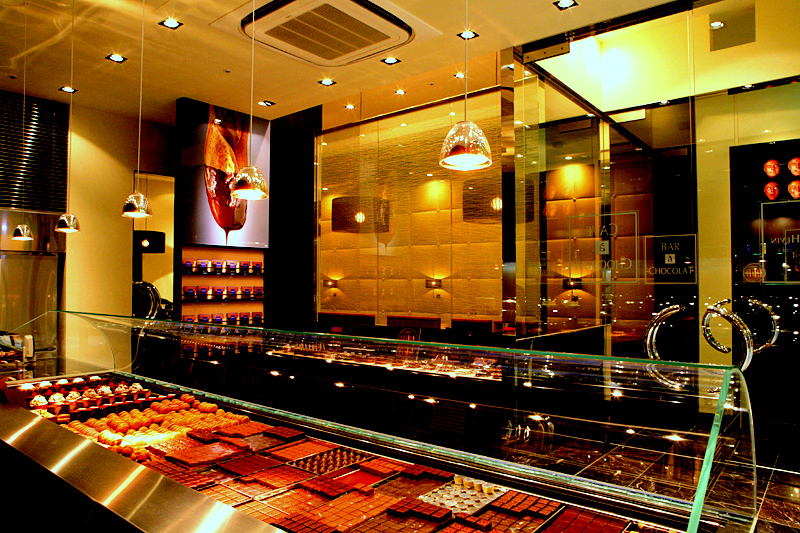 If you love chocolate then you must go to one of his shops in Paris! For instance, Jean-Paul’s specialty is chocolate: he creates refined and purist chocolate pieces that are delicious art-works! However, his collection also includes all sorts of patisseries and sweet creations centered around chocolate… his favourite ingredient that loves and takes to the ultimate level. 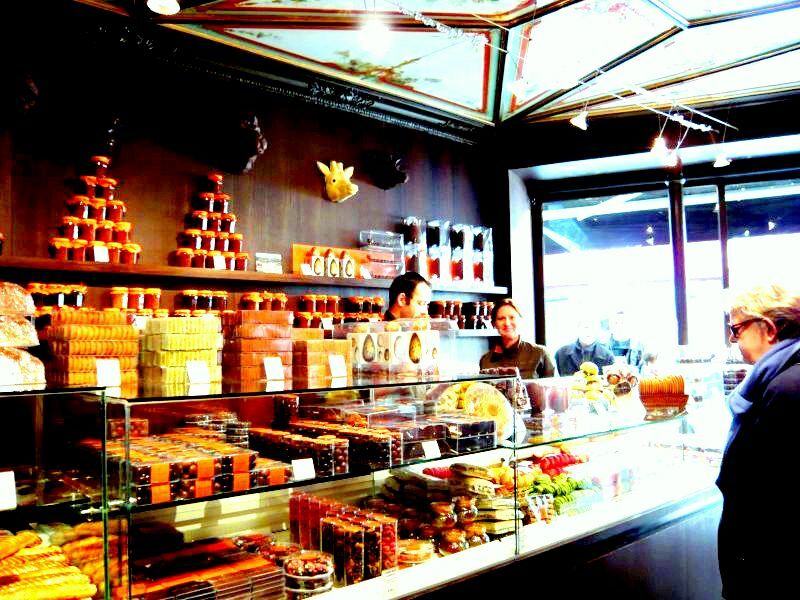 Even if you are not hungry at that particular moment, you can always buy some chocolates or goodies to bring back to your loved one the finest Parisian souvenirs! 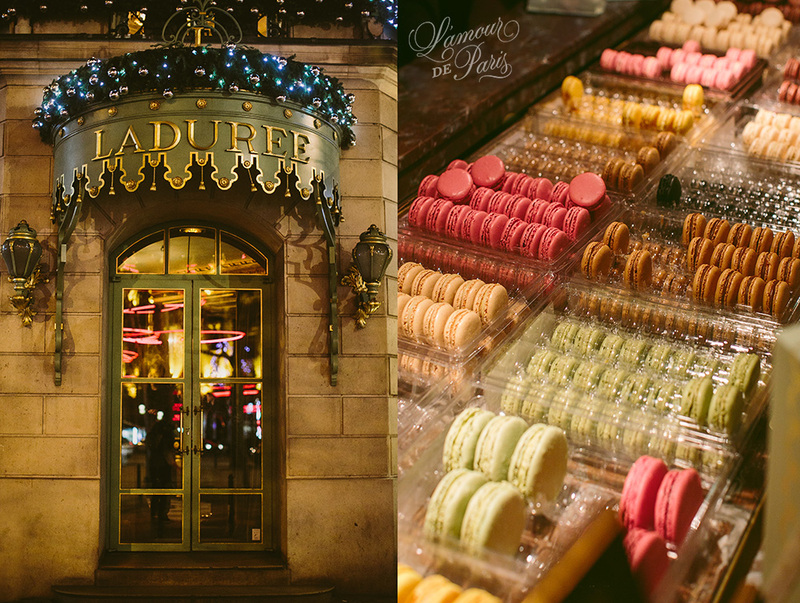 Well, Ladurée is known around the world for its macarons and we all love them. More than a top-notch patisserie Ladurée has become a concept, a brand by itself. This patisserie uses pastel and “girly” colours to recreate a romantic and retro Parisian universe. I love the fact that the brand launches seasonal collections exactly like fashion designers. For sure their sweets are not only delicious but also visually irresistible! To many, buying treats from Ladurée is like buying a piece of Parisian luxury. But all this fame doesn’t come only from their world-famous macarons but from over a century of dedicated work. For instance, this patisserie was founded in 1862 and it has, since, preserved its glamourous 19th century French decor. But this patisserie not only creates macarons but also makes all sorts of sweet treats… and they all come under stunning colours and shapes which is a real festival to all of your senses! I highly advise you to visit their patisserie on the Champs-Elysées: with a tea-room Versailles-style and in one of the most exclusive locations in the world.. your sweet treat will feel like a dream become true. The name literary means “patry shop of (your) dreams” so that should be enough to make you want to visit this exquisite Parisian shop. This patisserie is managed by the renowned French pastry chef Philippe Conticini and Thierry Teyssier, owne of international boutique hotels. The talented chef patissier Philippe Conticini also works with his talented right hand, Angelo Musa (who is a world pastry champion himself) to create amazing innovative pastries. Once again, these chefs use the classics of the French patisserie to reinvent and adapt them to their unique signature. 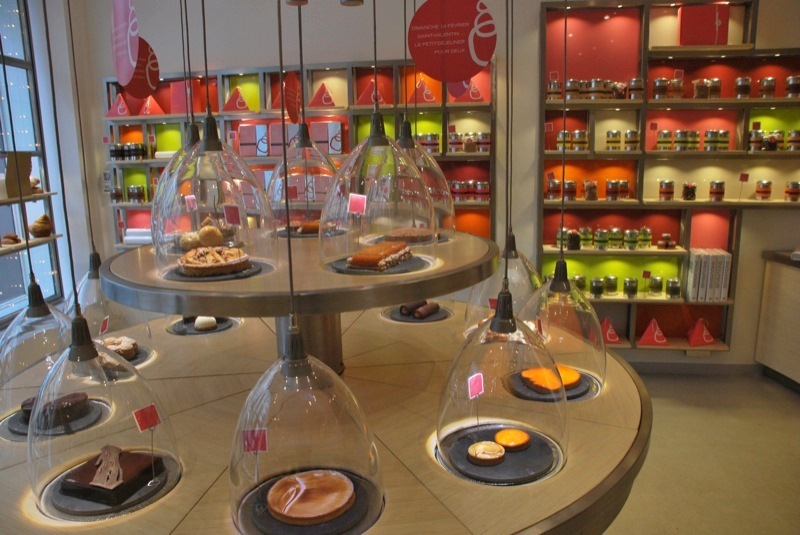 If you want to get wowed by patisseries that look as impressive as they taste then you must absolutely visit their Parisian shop in the vibrant and chic 16th arrondissement. I love their salon-de -thé where you can have the treat of your life in situ. 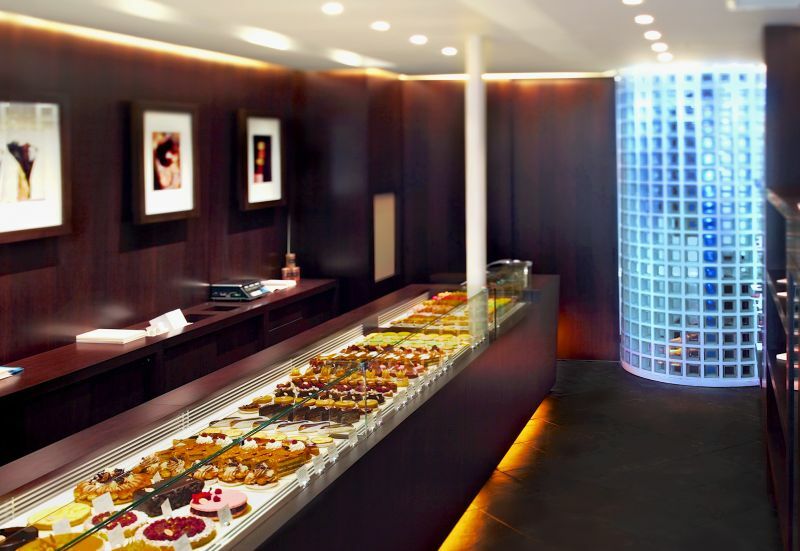 Pierre Hermé is certainly one of the most respected and renowned luxury patisseries in Paris. Pierre Hermé is a magician that creates visual pieces of art that look as surprising as they taste. This patisserie is perhaps one of the most impressive amongst the best; crossing the door at Pierre Hermé is penetrating into a luxurious and minimalist gourmet temple. The polished lines and decoration hide, in fact, a world of comforting delicious taste that marry to perfection French traditions with unexpected flavours (the foie-gras macaron is a winner). In this patisserie you will find a wide variety of pastries, cakes an viennoiseries but this chef patissier is also known for his fabulous collection on macarons.But even if you don’t feel like having a fancy cake (well, that’s quite difficult) please, do taste a croissant… croissants will never taste the same afterwards! For such a luxurious patisserie, prices are still affordable. I love the boutique on rue Bonaparte, totally worth visiting! Please share the love and don’t hesitate to post your comments below or on our Facebook page.